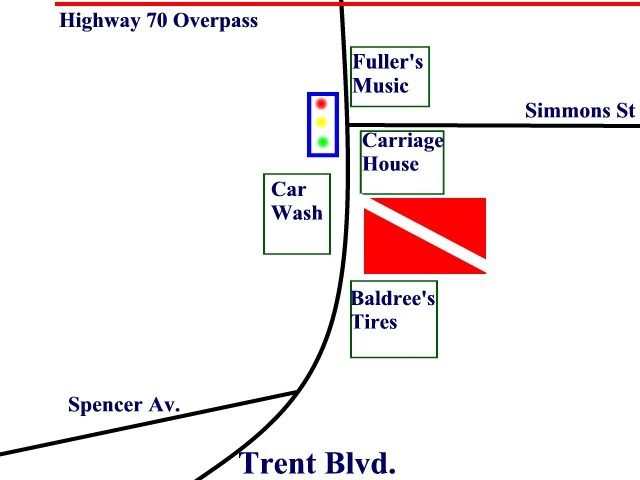 Tarheel Divers is located at 2216 Trent Blvd in New Bern, NC. Our current summer hours are Monday through Friday from 12 PM till 6 PM. We offer a full range of Skin Diving and SCUBA Diving Equipment with products from: Akona, Genesis, Sherwood, Underwater Kinetics, Henderson, Riffe, JBL, Biller, DAN, and others. We will also do Equipment repairs on Sherwood and Gensis BCs, and Regulators as well as Visual and Hydrostatic Inspections on Cylinders. Air Fills and Nitrox Fills up to 40% are also available. *New Store Policy: Aluminum Cylinders made of the 6351 Alloy will NOT be filled by this divestore. All Aluminum Cylinders must have proof of a Visual Eddy Inspection. Aluminum Cylinders will be filled to their Working Pressure ONLY.